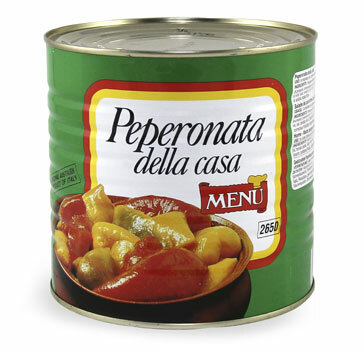 A traditional southern Italain dish. Sweet, plump and just picked Italian peppers are simmered in a light tomato and onion sauce retaining the bright colors and flavors of the harvest. Applications: Delicious with grilled fish, steak or chicken dishes. Combine with Italian sausage for delicious flatbread or pizza.